Back pain is very common. Most people will suffer one or more episodes of back pain during their lives. In many cases, it starts suddenly and gets better quickly, without the need for any treatment. However, back pain can be painful, debilitating and persistent, and some people suffer repeated episodes. It can also be associated with other symptoms, such as leg pain or sciatica. It may start following a specific incident, such as bending awkwardly or lifting a heavy weight. 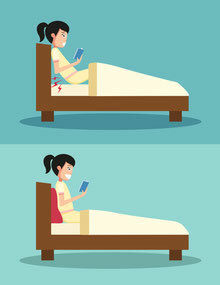 Or it can develop gradually, perhaps as a result of poor posture, an uncomfortable work position or repetitive strain. There are many different types of back pain, with different causes. The key to getting the right treatment is to establish which type of back pain you may be suffering from and to seek advice if it is not improving. Your spine is one of the strongest parts of your body. It is made of solid blocks of bone known as vertebra, joined together by softer pads or discs which act as shock absorbers and maintain flexibility. Your back is reinforced by strong ligaments, surrounded by powerful muscles for support. It is, in fact, surprisingly difficult to damage your spine. The majority of people with back pain are suffering from what is known as ‘simple’ or ‘mechanical’ back pain. This means that the pain is not related to any serious underlying condition and there are no trapped or compressed nerves. We do not always know the exact tissues that are involved in simple back pain. Muscles, joints and ligaments can all be involved. Simple back pain can be caused by poor posture, prolonged sitting in an uncomfortable position, and even muscular tension due emotional or work-related stress. As we get older, wear and tear may contribute to back pain. The shock-absorbing pads or discs between the bones of the back can narrow with age and this can cause stiffness, pain and make it difficult to move. Simple back pain is relatively common. Less frequently, the nerves of the back can sometimes become irritated, compressed or trapped. Again, there can be many reasons why this happens, but slipped discs or wear and tear can lead to pain spreading down the leg, which is commonly referred to as sciatica. This can be accompanied by pins and needles, tingling, numbness and weakness in all or part of the leg and foot. The sacroiliac joint connects the sacrum (triangular bone at the bottom of the spine) with the pelvis (iliac bone that is part of the hip joint) on each side of the lower spine. It transmits all the forces of the upper body to the pelvis and legs. There is not a lot of motion in the joint and it is very strong and stable. It is not clearly understood why sacroiliac joint dysfunction occurs, although some believe it is due to a limitation in its normal motion patterns and/or misalignment of the joint. Sacroiliac joint (SI joint) pain typically results in pain on one side very low in the back or in the buttocks. Another term for sacroiliac joint pain is sacroiliitis, a term that describes inflammation in the joint. Why do people get low back pain? People experience back pain for all sorts of reasons. It might be the way they sit or stand, or because their work or lifestyle causes stress and strain on their back. Worry or stress can cause tension in the back muscles, or can delay recovery of existing back pain. Sometimes an old injury, or wear and tear over time, might also cause problems. However, there is often no obvious reason why back pain develops. Although it can be very painful, back pain rarely has a serious underlying cause. Seeing a qualified health professional, such as a chiropractor, who is experienced in diagnosing conditions of the back and spine, can help treat back pain, and also identify if a referral or specialist investigations are needed. About half of people who have an episode of back pain will have another episode within a couple of years. But that still doesn’t mean that it is necessarily serious. Between episodes most people return to normal activities within two or three weeks, with few remaining symptoms. 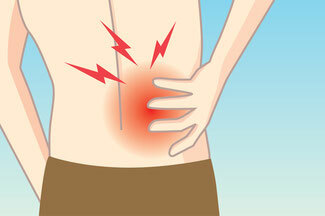 Back pain can be very painful due to inflammation and muscle spasm, and you may need to take it easy for a while. But resting for more than a day or two does not usually help, and may actually do more harm than good. It is best to try to keep moving and seek the help of a trained professional, such as a chiropractor, if you are finding it difficult to cope, or to speed up recovery. Your back is designed for movement. The sooner you get back to normal activity, the sooner your back will feel better. The people who cope best are those who stay active and get on with their life despite the pain. If your back pain does not improve, it is important to seek help. Early treatment will get you better faster. 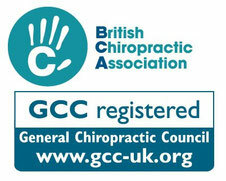 Chiropractors specialise in assessing, diagnosing and managing conditions of the spine. They are highly trained in finding the cause of pain in the spine. In the UK they undergo a minimum of four years’ full-time training. Importantly, chiropractors are regulated by law and must work within strict professional and ethical boundaries. Before starting treatment, a chiropractor will do a full assessment. This will involve taking details about your condition, current health and medical history, and performing a physical examination. Sometimes it may be necessary to refer you for other tests, such as X-rays, MRI scans or blood tests. It is important for your chiropractor to gather as much information about your back pain as possible so that the most precise diagnosis can be made. Your chiropractor will then explain what is wrong, what can be done and what you can expect from chiropractic treatment. Chiropractors are best known for manual treatments such as spinal manipulation, where they use their hands to free stiff or restricted joints, or mobilisation, which is the gradual moving of joints. But they may also use other recommended treatments such as certain types of acupuncture, electrotherapy, stretching exercises and rehabilitation, all of which form part of a chiropractor’s package of care. Your chiropractor may also offer lifestyle advice to help recovery and to prevent repeated episodes of back pain. If your chiropractor does not think you can be helped by chiropractic treatment, you may be referred back to your GP or to another health professional. Chiropractors do not prescribe medication, so if this is needed, you may be referred back to your GP. As chiropractors support a joined-up approach to care, they may ask if they can send a brief report to your GP. Many people who suffer long-term back pain benefit from regular, supportive chiropractic care to reduce the risk of recurrent episodes. As with any new symptoms it is always important to visit your GP or Chiropractor to rule out any other disorders before reaching a diagnosis yourself. New NICE guidelines for low back pain and sciatica have just been published. These guidelines recognise the role of manual therapy in the treatment of low back pain and sciatica. Andrea Howell graduated as a chiropractor from the Welsh Institute of Chiropractic, following a four-year undergraduate master's degree (M.Chiro).She was lucky enough to begin her career being mentored by the first chiropractors to establish in Wales 35 years ago.Although she enjoyed her time working at the clinics in Swansea, Andrea was keen to practice closer to home and the community she grew up in, so she established TWC in Whitchurch village, Cardiff in 2012. Andrea went on to complete her Royal College of Chiropractors post-graduate year (PRT qualification), and a University of Glamorgan post-graduate certificate (PGCert) in 'Clinical Excellence', with Distinction. She has since completed post graduate training in techniques to treat women during pregnancy, western medical acupuncture (or dry needling), and Sacro-Occipital Technique. She is passionate about the benefits of chiropractic treatment, and finds great satisfaction in helping people out of pain, and improving the quality of individuals' lives. As a chiropractor Andrea has had experience in helping a wide variety of patients of all ages and levels of fitness. 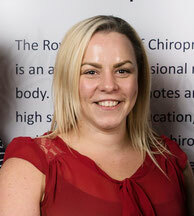 Sarah Beer graduated as a Chiropractor from the Welsh Institute of Chiropractic in 2008, following a 4 year undergraduate Bachelor of Science degree in Chiropractic. Sarah is also interested in Complimentary Alternative therapies. Sarah uses this interest and knowledge to reinforce a diversified approach to care. Sarah has also gained a Diploma in Aromatherapy. 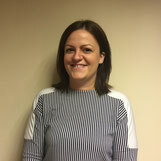 Sarah has a growing interest in treating pregnant ladies and is looking to develop her knowledge and skills to include treatment and care for babies and young children.